Urn–shaped casters like these were fashionable during the last two decades of the 18th century. They often occurred in pairs and were intended for sprinkling sugar rather than spices. 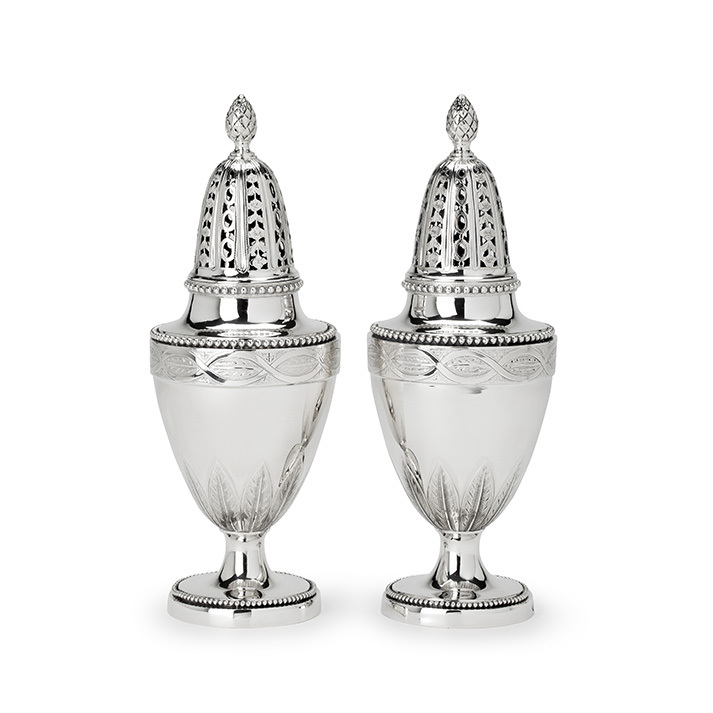 The latter ones are usually smaller in size and are sometimes part of cruet stands.